Over 20% of Americans suffer from bruxism (grinding or clenching of the teeth). However, many people are not even aware that they grind or clench their teeth until a sleeping partner hears gnashing noises at night or if their dentist observes abnormal wear of the teeth. Some teeth grinding or clenching is normal, but frequent bruxism can cause excessive tooth wear and short-lived dental restorations. Moreover, bruxism often causes headaches, jaw or facial pain, tooth sensitivity, cracked teeth or fillings, loose teeth, and insomnia. 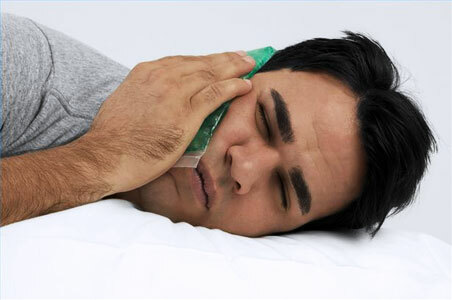 The cause for bruxism is not known, but stress, anxiety, sleeping disorders, or an abnormal bite can all be contributing factors. As Los Angeles’ top TMJ specialist, Dr. Sid Solomon has considerable experience with effectively treating patients suffering from bruxism. A custom-made night guard made of plastic or acrylic may be used to prevent the teeth from touching and excessive wear of the teeth. Dr. Solomon also offers highly effective BOTOX treatments that have been shown to dramatically improve bruxism. Call (310) 475-5598 to schedule an appointment or personal consultation with Dr. Solomon to find out which treatment is best for you!